These five motion charts begin to explain the state of the worldwide car industry as part of a comprehensive feature story in Airshow San Francisco. Global Car Production by Country from 2006 to 2015. Excluding China, worldwide car production barely grew in the past decade. In that time period, Toyota became the largest car manufacturer in the world. While the first two motion charts show where cars are made, this third motion chart shows where cars are sold. Asia became the largest car market in the world, now bigger than North America and Europe combined. China became the largest car market in the world in 2009. American car companies lose their grip on American consumers. These five motion charts are part of a feature presentation by Horace Dediu at Airshow San Francisco, to take place on June 11th. Attendees will see the presentation and then learn how to present persuasively with data. Register now before it’s too late. We have extended Airshow 2.0 dates for Boston to both Sat May 28 and Sun June 5th. Airshow 2.0: May 28th, Boston. Register Early at http://airshow.io/ for 30% discount. Airshow 2.0 will commence on May 28, 2016 in Boston. See http://airshow.io/2016/boston/ for more information. We will be making the official announcement shortly. Register early to receive a 30% discount. We will debut the all new Airshow 2.0 event in early November in California and follow with Boston and New York this winter. We will also be taking the show on the road as Horace's travel allows. More information coming soon to Airshow.io. Great news! We have a venue and a date for Airshow Boston: Fidelity ThinkSpace 245 Summer Street, Boston, MA, Dec 18, 2014. Many thanks to the folks at Fidelity FCAT for coming through in the last minute! See Airshow Boston webpage for more info. We are delighted to announce that Airshow will be coming to Seattle on Nov 8, 2014 as our 11th event. → Register with academic discount as a student or teacher. We started Airshow with the explicit goal of pushing the envelop in storytelling with data. We wanted to bring data to life as means to connect with our audience. If only we could get the iPad to fly, we could spin circles around boring slideshows. Enter Paul Brody, an IBM global industry leader. An early believer in our cause, he facilitated IBM offices around the world as venues for Airshow. This was a tall order at any company, let alone one with nearly half a million employees. It was a crazy plan and it worked. Tomorrow, we will conduct the 10th Airshow in Tokyo—our debut in Asia. We still have much to learn, but this much we know: Airshow would not have gotten off the ground without the generosity of Paul and his amazing team. Given his superpowers (including his iPad WPM), and the recently announced Apple+IBM partnership, we were not too surprised to learn about Paul's new leadership role at IBM Mobility. We wish him well in his new position at IBM! It is our true honor to count Paul Brody as our sponsor and our friend. (c) is an IBM customer. Fine print: Company identification required. Registrations limited. First come, First serve. We are delighted to announce that Airshow will be coming to Tokyo on Thursday July 17, 2014. Tokyo will be the first Asian city to host Airshow! → Learn more about Airshow Tokyo. Since Vancouver reached quorum, we have been searching for a venue. And we've found a very nice one: UBC Robson Square. 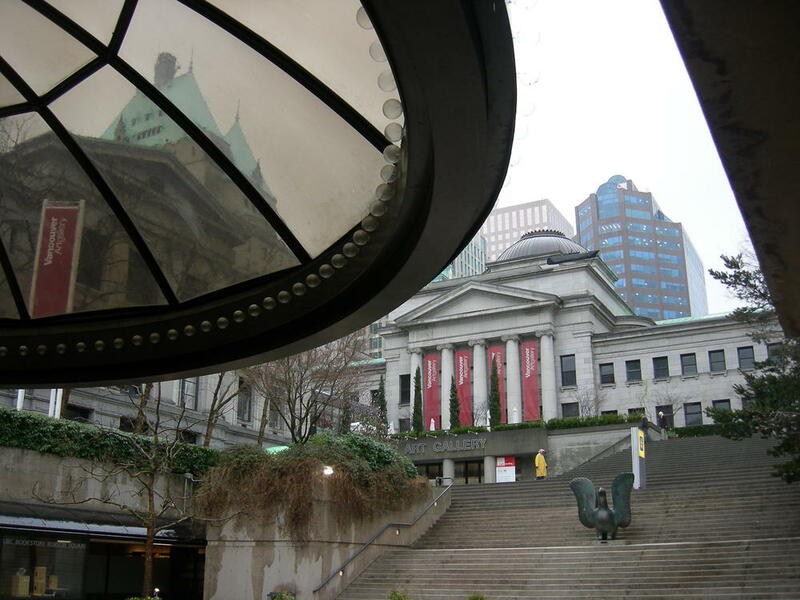 A short stroll from downtown Vancouver, Robson Square is also conveniently located near the Airport and rails. See Airshow Vancouver page for more info. Airshow Vancouver - March 26 has reached quorum. We are happy to announce that Vancouver has reached quorum as the next location for the Airshow World Tour. Airshow Vancouver, our first Canadian venue, will take place on 26 March 2014. Today is the last day for anyone who was planning to register for Airshow Vancouver to register as a backer ($600 USD) a 40% saving off the full ticket price of $1000. Horace Dediu introduces the birth of Silicon Valley at Asymconf California using rhetorical techniques taught at Airshow workshop. To learn how to apply these techniques to your presentation join us at Airshow San Jose on Jan 30, 2014. Airshow London has reached quorum for Feb 26, 2014. Those who would like to take advantage of early registration can do so until 12:00 midnight GMT Thu 16 January. → Register for Airshow London (50% discount). → Learn more about Airshow. Airshow San Jose is still open for registration, but seating is limited. Register. Also in the running: Hong Kong, Shanghai, Singapore, São Paulo. New York has joined Prague as a write-in candidate. Airshow San Jose has now reached quorum., so we have announced further information including location and time. All you need is 20 registrants to reach quorum. You can choose from the cities in the list, or even write-in your city. Register here. Airshow San Jose 2014 reached quorum as of 6:06pm local time. We have now entered a 24-hour grace period to cover those who were in the process of registering for the event. During this period, tickets will be on sale at the early registration rates. At 6:06pm tomorrow (1/10/2014) San Jose-local time, early registration discounts will be removed. Also in the running: Amsterdam, Hong Kong, Shanghai, Singapore, São Paulo, Prague. Despite major advances by many cities and battles between Raleigh/Vancouver and Austin/Seattle, London continues its lead to host the Airshow World Tour on Feb 26. We can't predict who will win this round, but we can describe the process. Once a quorum is reached for a city, we will continue the early registration discount for a grace period of 24 hours. This is to provide a final chance for registrants in mid-process to complete their registration, and backers of other cities to change their allegiances. After the one-day grace period, the 50% early registration discount is removed, and tickets for that city are sold at full price. In the meanwhile, we will work with our venue sponsors to lock in the specific venue to announce. Also in the running: Tokyo, Amsterdam, Hong Kong, Shanghai, Singapore, São Paulo, Prague. A few tickets remain for silicon valley, so if you are plan to attend Airshow San Jose, Jan 30, 2014, now is the time to register. San Jose is a few backers away before reaching quorum. However, Zurich, Sydney, Tokyo, Stockholm, São Paulo, Singapore, Shanghai, Hong Kong are also in the race. Prague was also the first city to start a write-in campaign. For more information about Airshow World Tour, check out airshow.asymco.com. We are elated by the first-day response to Airshow: World Tour. Our demand-based scheduling approach Airshow is of course new & homegrown. Early informal research indicates we may be the first conference to have tried it. Despite all this, the first day went very well... What a relief! We had of course thought all this through but you never know what happens when you unleash a new idea in the real world. A lot of pieces had to be in place for this to work: reasoning about the jobs to be done of Airshow events, defining a crowdfunding scheme that is balanced, predictable, and simple, applying Occam's Razor to it, finding fewest words to explain the concept, working with IBM's reservation system for their world-wide venues, implementing the scheme on top of the ticketing system, designing tickets so that early backers can be rewarded, and so on. As with all new experiments, we know we will meet some challenges. We look forward to facing these as we "learn by doing", just like we have done in the past two years. Most of all we appreciate the support, input & suggestions of our audience. Thank you all for your participation. Looking forward to meeting you in person at an Airshow near you. P.S., The coolest part about real-life is that it's so hard to predict. We still have no idea how this will turn out. There is only one way to find out. Stay tuned!